Books make wonderful gifts for our loved ones and friends anytime of the year, especially for the holidays. The Holiday Gift Book Selection at DK Canada has a wide selection to suite everyone's taste. My children are LEGO fans and the LEGO book, 365 Things to do with LEGO Bricks, unleashes their imagination and gives them lots of creative ideas on how to use a variety of LEGO bricks to create unique pieces. During our visit to St. Jacob's in Waterloo, we enjoyed playing at the Toy Building Zone located right across the Holiday Inn Express. We also went to the Lego Nation Tour when it happened in Toronto, and had hours of fun building with Lego and finding lots of inspiration. My children enjoy looking through the pictures, and reading DK LEGO books. Recently, they enjoyed two books in DK's collection of LEGO books. Here are their thoughts about The Book of Knights and I Love That MINIFIGURE. My children have been LEGO fans since they were little and enjoy all things LEGO from building with the bricks to reading books related to LEGO. Recently, my children were playing with and building using the LEGO Friends Pop Star TV Studio and LEGO Ninjago Ninja Bike Chase sets. 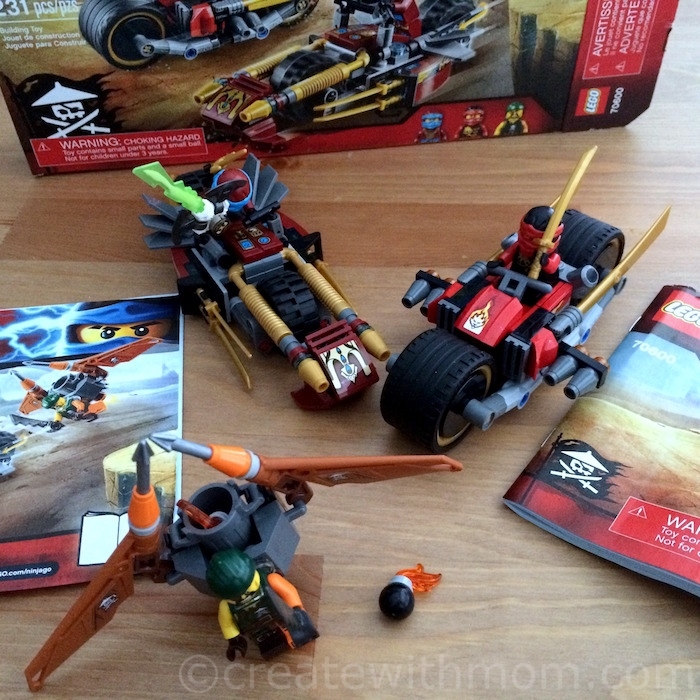 We also got them a bigger Ninjago set so they can enjoy putting the pieces together. 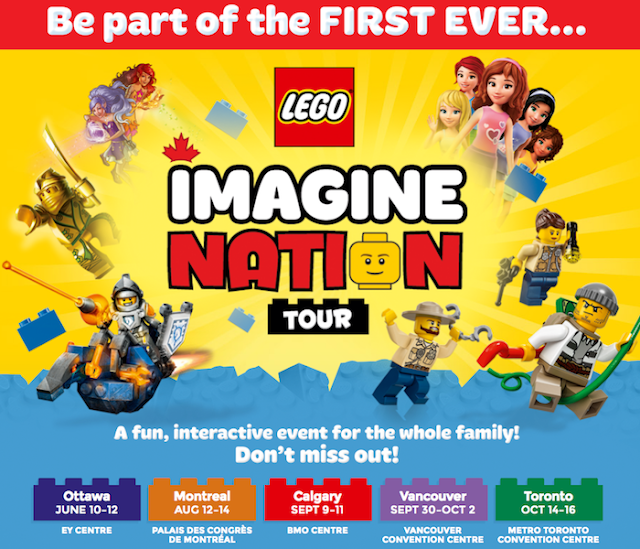 LEGO Canada Inc. will be having their first ever LEGO® Imagine Nation Tour in five cities across Canada this summer and fall. Families can purchase tickets now for the events coming to their cities and participate in hands-on building activities, interactive digital experiences, Master Builder meet-and-greets, and see brand new life-sized LEGO® models for the first time. There will be something for builders of all ages, interests, and building ability at this brick-building extravaganza. 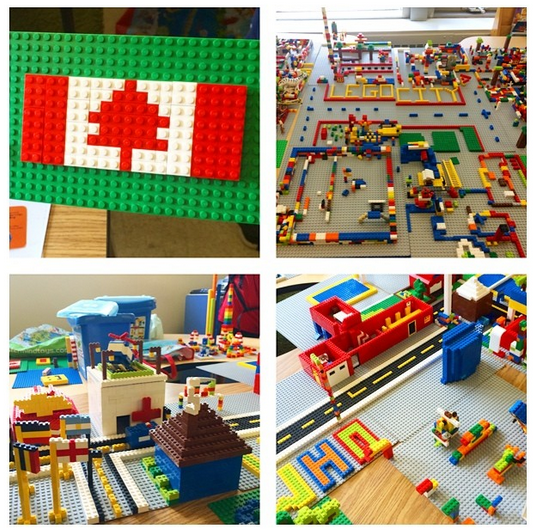 My children enjoy learning from the colourful, and inspiring ideas on the LEGO Play book. 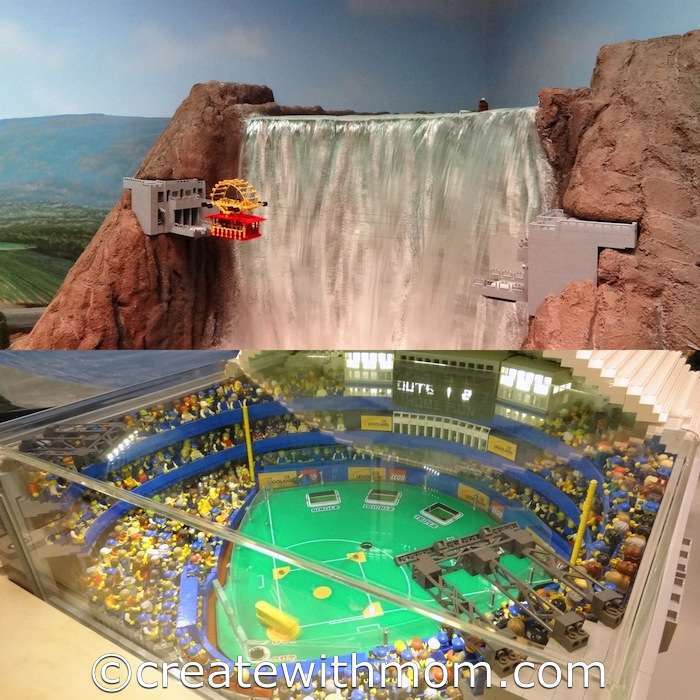 There are over 200 creative ideas on how we can use LEGO to build different things such as castles, beach boats and more. It is a wonderful tool to help children and adults build and play. All the LEGO Star Wars fans will be excited to know that LEGO Star Wars: The Empire Strikes Out is available on DVD. We thought that this movie was really fun that the whole family can enjoy. The smooth animation is creative and was fun to watch. My son was excited to watch this hilarious 22 minutes long DVD. Since my son loves LEGO and owns some LEGO pieces for Star Wars characters he was very excited to see the Lego characters in action. 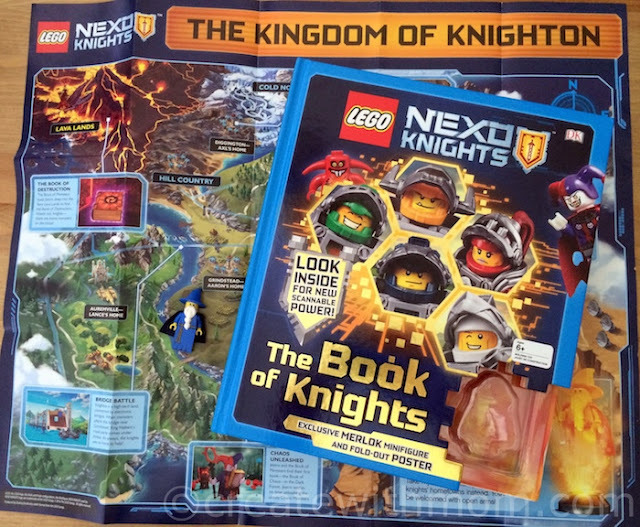 This action packed comic adventure also includes a Darth Vader minifigure for children over 6 years. Chapters Indigo is having a fabulous Lego sale promotion that ends on March 31st. 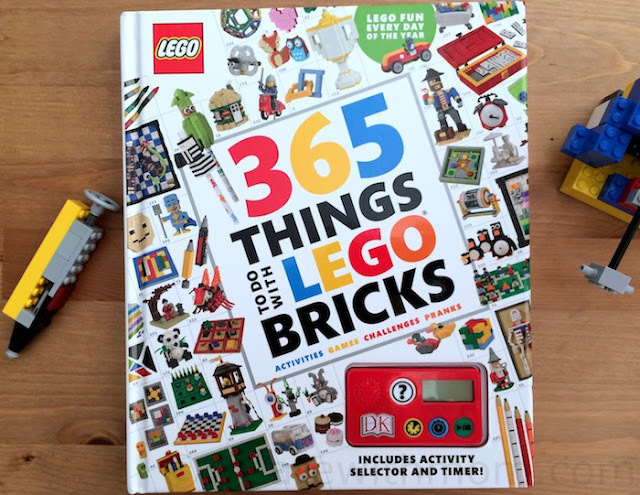 We are big fans of Lego, so we couldn't resist this promotion and the variety of fabulous Lego at Indigo. 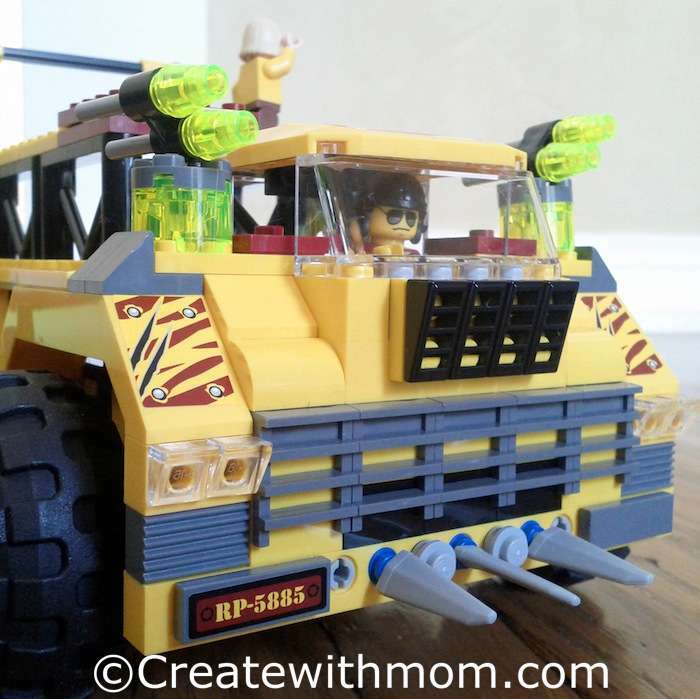 We ordered the Triceratops Trapper LEGO set that my son has been wanting for a long time. When we purchased this dinosaur Lego set online we got free shipping and the order included a small package of Lego City building toy for free. This LEGO DK ultimate sticker collection book was really enjoyed by my little one. It is better to paste the stickers with the young children instead of them doing the book by themselves. This way we can ask questions and talk about which stickers belong where i.e. which sticker should we put in the farm or the zoo etc. 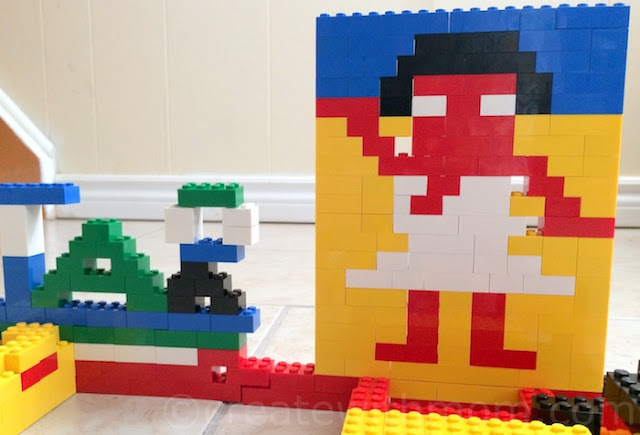 This LEGO DK Brickmaster brings reading and play together. It helps children follow instructions and build creative toys. This set allows children to recreate the story that they have read. It was fun to build the LEGO pieces with my children and see the lego characters from the book in action as the children played with them. I liked that the book has five chapters so we can read and build one chapter at a time. With each progressing chapter the amount of building increases. Children can also get creative to make their own structures and tell their own story. 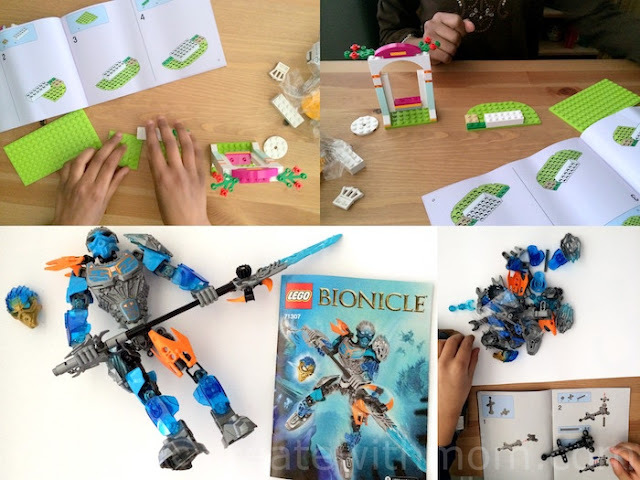 This LEGO DK book is for children over the age of 5 years although with supervision 3 1/2 to 4 year old children can participate. My daughter enjoyed reading this DK reader about Friends. She liked the pictures throughout the book and related the story to the LEGO characters. The story in the reader was interesting so she didn't mind sitting to read the whole book :) These types of DK readers are encouraging for the children to read. The books have fun stories with reading levels. The stories are not too long to finish reading from beginning to end for young children.